On a hot summer day, there are some fashion essentials that you simply must have. In addition to a killer pair of cat-eye sunnies, cute rhinestone statement sandals and a breezy cutout dress, you’re going to wish that you had brought along a hat. 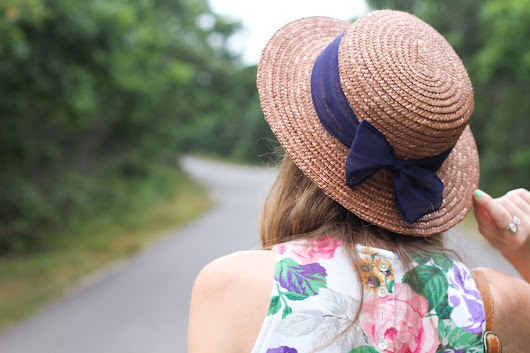 While there’s no question that hats are the epitome of summer-chic, how does a fashionista go about finding one that complements her personal style? If this daunting question has been lingering on your mind, then fear not! I’ve taken out the guesswork by highlighting three of the season’s trendiest hats, so feel free to invest in one or all of them! Historically made of felt and commonly worn by men (particularly in the early 20th century), fedoras have now become a go-to accessory for fashionistas everywhere. With the most popular fedoras made of straw and encircled with ribbon, it’s no wonder that so many girls have become smitten with this hat, which contains a pinched top and flexible brim. A fedora will update your most run-of-the-mill ensemble and will instantly make you feel stylish. Kryz Uy (Thirstythought) adds a touch of masculinity to her look by donning her fedora with a corset top and zany, zigzag printed skirt. Conversely, she plays up her femininity by accessorizing with a pink belt and green embellished heels. For a casual weekend-approved outfit, pair your fedora hat with a white tee, festive scarf and skinny leg jeans. 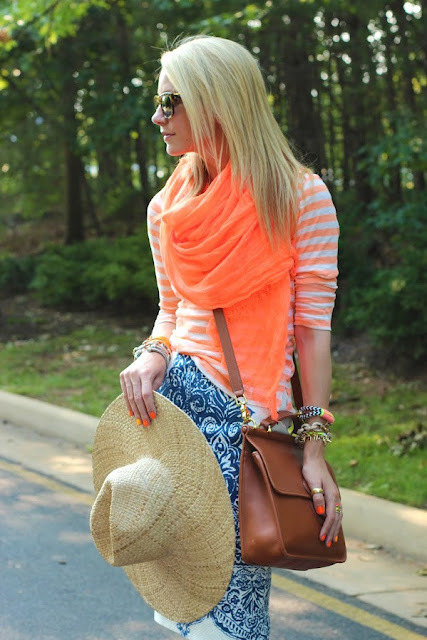 Blair Eadie (Atlantic-Pacific) styles an impeccable ensemble that has “summer-is-in-full-swing” written all over it! The thing that I most love about Bee’s outfit is that it’s fun, young and in the moment. In fact, just looking at her orange scarf, orange striped top and two-tone orange nails – they make me want to take a vacay! When wearing a sun hat, don’t be afraid to go pattern and color-happy. Don your favorite Lilly Pulitzer frock, printed floral jeans or vibrant striped dress, and you’ll be giving Blair a run for her money! If you’re wondering what the difference between a fedora and Panama hat is, then you’ve come to the right place. Although these toppers are very similar, the Panama hat is rounder and actually a bit taller. Panama hats were popularized in the early 20th century, most notably when President Theodore Roosevelt wore one during a trip to the Panama Canal. As luck would have it, they’ve remained popular ever since! Julia Engel (Gal Meets Glam) remains cool, calm and collected in her all-white attire. She keeps it simple by pairing her Panama hat with a pristine white dress detailed with a lace design. White Panama hats with black ribbon are the easiest style to work with because they match practically everything. A floppy sun hat is just what you need to shield your eyes from the sun and give you some much-needed privacy at the beach. While the hat on the left is whimsical and sweet (how can you not love that polka dot bow?! ), the one on the right is the epitome of class and sophistication. Either of these Panama hats would look exquisite with a pair of chino shorts or an effortless LBD. 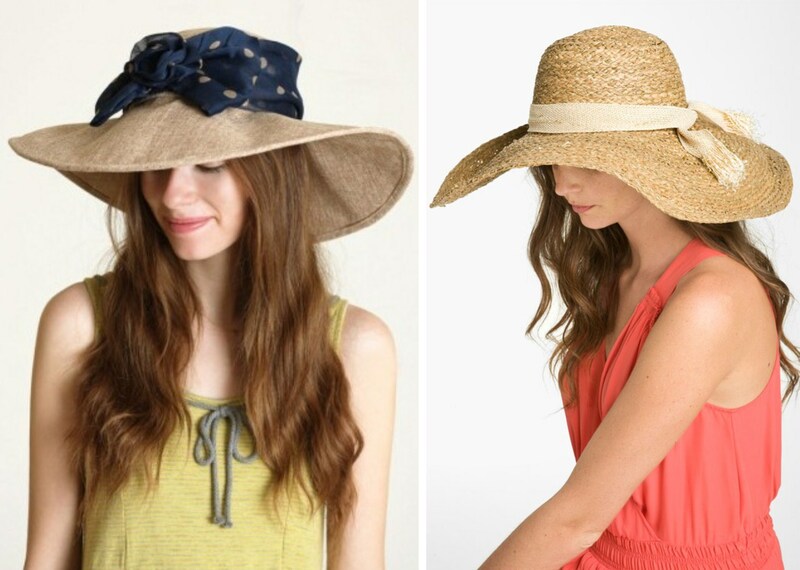 For a Panama hat that you can wear all summer long, the straw topper above by J.Crew is a must! If you’re feeling bold, then the one adorned with an electric yellow ribbon will surely keep you on your toes! Summer hats are fun, flirty and effortlessly chic – which one will you be sporting this season?